Archie was formerly with Rangers and Dumbarton. After just a short stay with United he was released and then joined Stirling. Archie was born on this date in . Excitement was the order of the day as United entertained their home support on Saturday, beating Stenhousemuir by the odd goal in three on the first day of the new season. 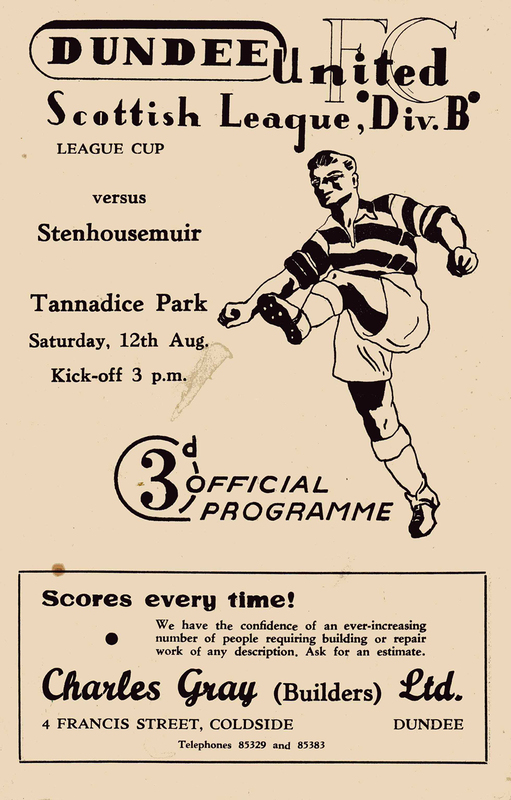 For the League Cup opener, United introduced new signing Archie McIndewar, who impressed during a trial the week before. The former Rangers and Dumbarton player slotted in at inside right. Deputising for the unfit Alec Edmiston between the sticks was last season's reservist, Bob Wyllie.